“The modern conservative is engaged in one of man’s oldest exercises in moral philosophy; that is, the search for a superior moral justification for selfishness.” – John Kenneth Galbraith. Original version in Portuguese at Agência Pública. English Translation for Brasil Wire by Angela Milanese. Republished under Creative Commons license. By Marina Amaral, June 2015. “Our body is the first private property we have. It is up to each of us to decide what to do with it,” says a young blonde woman in Spanish with a firm voice while moving gracefully across the stage at the Liberty Forum, which is adorned with the logos of the event’s official sponsors: Tobacco company Souza Cruz, Gerdau Group, Petróleo Ipiranga and the RBS Group (a local Globo TV affiliate). A sold out crowd at the 2000-seat auditorium of the Pontifical Catholic University of Rio Grande do Sul in Porto Alegre (PUC-RS) bursts into laughter and applause for Gloria Álvarez, a 30-year-old Guatemalan daughter of a Cuban father and a mother descended from Hungarian immigrants. 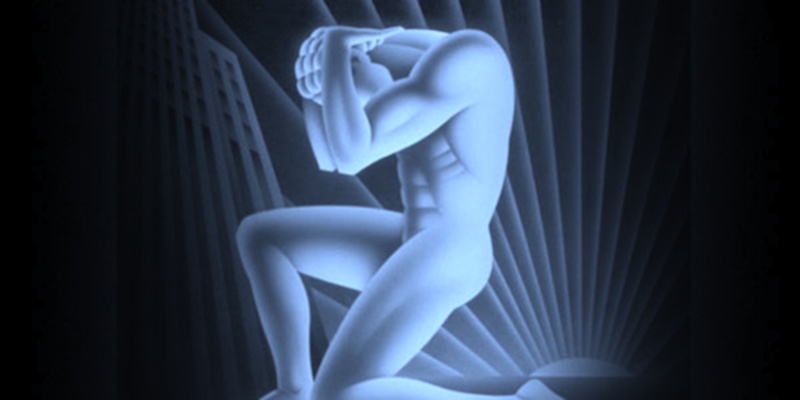 “An intellectually honest leftist must recognize that the only way out is employment and a modern, 21st century rightwinger must recognize that sexuality, morality and drugs are individual problems. He is not the moral authority of the universe,” she continues, amid thunderous applause. “There is a truth that every human being must reach to find peace, if they don’t want to live as a hypocrite. All of us, seven-and-a-half billion human beings inhabiting this planet, are selfish. This is the truth, my dear friends in Brazil. We are all selfish. Is this bad? Is this good? No, it’s just the reality,” she says categorically. “There are people who don’t accept this truth and come up with this wonderful idea: ‘No! [Gloria shouts, imitating a man’s voice] I will build the first unselfish society!’ Be careful, Brazilians, be careful, Latin America! Those wise guys are like Stalin in the Soviet Union, or Kim Jong-il and Kim Jong-un in North Korea, Fidel Castro in Cuba or Hugo Chávez in Venezuela. Why do we keep following those hypocrites like sheep? Because [Gloria grimaces and imitates a frail woman elderly voice] they teach us that it’s wrong to be selfish and that to think of ourselves is a sin. How many of you haven’t heard someone say we need a good man who doesn’t care only for himself,” she says, bending as she speaks, and then standing up to regain her proud upright posture. “Private property is what we amass in our lifetime, starting with our first properties: body and mind.” The past, she explains, isn’t the same to everyone, so this amassing is personal. She continues, “This humanizes us, gives us, disgraceful conservatives, a bit of a heart.” Laughter. Applause. “There are people who want the right to health care, education, work, housing. The UN even wants to establish a human right to internet access,” she scoffs disdainfully, even though she had just declared that technology is the key to changing the world. “Imagine that, in this auditorium, some of you want the right to education, others the right to health care, and others want the right to housing. So if I give you education, everyone here will pay for it, and you will be VIPs, while they will be second-class citizens. If I give them health care, everyone in this auditorium will pay for their health, and they will be VIPs. If I give them houses, I will take from you to provide houses for them, and they will be the VIPs. This isn’t social justice, this is inequality before the law,” she concludes, again amid laughter and applause. “If everyone in Latin America is entitled to life, liberty and private property, then everyone goes after education, health care and the house they want, without the need of a super-Chávez, super-Morales and super-Correa.” Ovation. Whistles. Before closing her 40-minute speech, Gloria invites the public to challenge the “victimization of Latin-Americans” and “blaming the Yankees” worldview, which undermines self-esteem and the courage to take risks, required by the entrepreneurial spirit. The audience gives her a standing ovation. The same can be said about her ideas. Despite their seductive title, libertarians are “a minority segment among the schools of thought that gained influence in the post-war era, in opposition to the Keynesian-inspired interventionist policies,” explains the economist Luiz Carlos Prado, from the Rio de Janeiro Federal University. After the 1970s oil crisis, pro-market economists such as Friedrich Hayek (Nobel Prize 1974), monetarists from the Chicago school of economics led by Milton Friedman (Nobel Prize 1976) and neoclassicists associated with Robert Lucas, Jr. (Nobel Prize 1995) came to dominate global economic thought, and became known to the public under the single label “neoliberal.” Their concepts were brought to Latin America by the most conservative sectors of American society, represented mainly by think thanks with ties to Ronald Reagan. After losing Republican primaries in 1968 and 1976, Reagan was finally elected president in 1980, with Friedman as a major adviser. The same ideas also dominated the government of Margaret Thatcher (1979-1991) in the United Kingdom. “The supporters of classical liberalism also supported political freedom, but this school of economic thought called ‘neoliberalism’ advocates non-intervention of the state in the economy, without demonstrating a particular concern for political freedom. In some cases, and without any shame, they allied themselves with dictatorships, such as the military regime of Pinochet in Chile,” says Prado. Gloria Álvarez’s Guatemala is a good example of how libertarian ideas came to fruition in Latin America. In 1971, “a significant part of the Guatemalan economic elite embraced neoliberalism and adopted it as its political project. That was when they founded the Francisco Marroquin University (UFM),” explains Rodríguez. As a result, Guatemala was transformed into the Latin American country that collects the least in taxes (11% to GDP) and the one that least redistributes them,” he says. Álvarez studied at UFM and “became a libertarian, but she is a little less conservative than her professors, who are a mix of neoliberalism and Opus Dei [a conservative religious institution]. She declares herself to be an atheist and a supporter of abortion rights. Although she has become a star on the Latin American right, she is a minor figure on the Guatemalan right. She has no political base and is not a political candidate for elected office. I see her more as a libertarian enfant terrible,” concludes Rodríguez. Libertarians resurfaced with full force in the United States after the 2008 financial crisis (and the subsequent clamor for market regulation) and as a reaction to the election of Barack Obama. Libertarians preach the supremacy of the individual over the state, absolute market freedom and the unfettered defence of private property. Libertarians claim that the economic crisis, which threw 50 million people into poverty, was not caused by the lack of financial market regulation, but rather by government protectionist policies towards certain sectors of the economy. They also emphatically reject the social policies promoted by the Obama administration. However, a significant portion of libertarians distance themselves from traditional rightwing positions on social issues. In the name of individual freedom, they defend positions usually associated with the left, such as the legalization of drugs and a more tolerant approach towards homosexuals. GOP Senator Rand Paul, a presidential hopeful, is one of the best known faces of the libertarian movement. “Libertarians that are Tea Party supporters (a radical rightwing faction of the Republican Party) are also associated with think thanks such as the Cato Institute. They make up the post-modern right, represented, for example, by David Cameron in the UK, who modernized the ‘rolling back’ of the welfare state agenda,” says Prado. Prado looks amused when I mention Brazilian libertarians, followers of the Austrian school of Ludwig von Mises and Friedrich Hayek. “The Austrian school is a very minor strain, even in academia,” he declares. “Who are those libertarians? In Brazil, we have sophisticated economists who follow schools of economic thought, such as the neoclassical school of Nobel Prize winner Robert Lucas and other similar approaches. 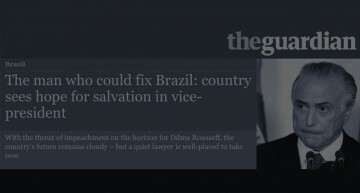 Rightwing politicians lacking depth, such as Ronaldo Caiado [a senator from the centre-western state of Goiás, affiliated with the Democratic Party (DEM)], and a conservative middle class that reads [popular rightwing columnist] Rodrigo Constantino of Veja magazine,” he concludes. Caiado and Constantino are veteran participants of the Liberty Forum in Porto Alegre. The novelty is that the Tea Party’s libertarians are at last able to present themselves, to Brazilian youth, as an attractive new face for the right. Among those who led the anti-government protests in March and April, Chequer’s movement was one of the last to take up the cause of impeachment. That delay earned him a public rebuke from the elderly Olavo de Carvalho, a polemical rightwing pundit, who accused him of “toucan wimpiness.” Toucan is the symbol of Brazil’s main opposition party, the Brazilian Social Democratic Party (PSDB). The Free Brazil Movement (MBL), mostly known through the figure of its leader, Kim Kataguiri, which adopted the cause of impeachment from the get-go, broke up with Chequer publicly, publishing pictures of him standing next to PSDB Senator José Serra at the Aécio Neves presidential campaign. 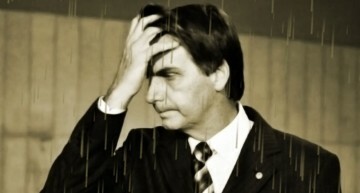 PSDB Senator Neves was dubbed a “traitor” for his hesitation in demanding the impeachment of the elected president. They reconciled after a delegation led by Neves and Caiado made a controversial visit to Caracas, Venezuela. Incidentally, Caiado participated in the opening night of the Liberty Forum. 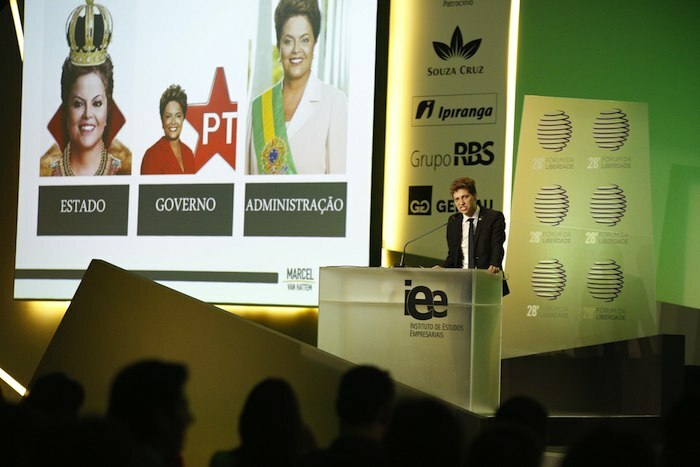 Lacking Glorita’s irreverent grace, the conservative rural senator drew applause from the audience with sound bites against government corruption and references to the São Paulo Forum (video). Caiado also demanded the resignation of President Dilma Rousseff and attacked the Brazilian State Development Bank (BNDES). Interestingly, his accusations were made under logos of the Gerdau Group and Ipiranga Petróleo (from the Ultra group), which are two of the largest borrowers of BNDES loans, according to data collected by one of Brazil’s largest newspapers, Folha de São Paulo. Between 2008 and 2010, both companies individually obtained more than R$1 billion worth of bank loans. The southern entrepreneur Jorge Gerdau is one of the creators of the Liberty Forum, established in 1988 with the aim of promoting a debate between various schools of thought. The most important conservative gathering in the country, it nevertheless included, in its first incarnations, guest speakers such as former President Lula of the Workers Party (PT), former Minister José Dirceu, a minister in the Lula administration, and the late Rio de Janeiro state governor and leftist Leonel Brizola. It was there that, in 2006, the most prominent rightwing think tank in Brazil – the Millennium Institute – was officially launched. Armínio Fraga (who would have been finance minister if Aécio Neves had been elected) is its best-known figure in the field of economics. Its backers are the Gerdau Group, publishing company Editora Abril and Pottencial Insurance, which belongs to Salim Mattar, who also owns Localiza Rent a Car. 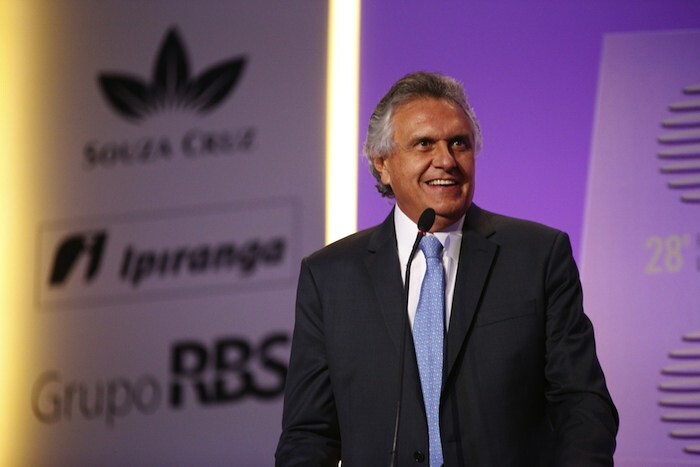 Suzano Papel e Celulose [paper and cellulose], Bank of America, Merrill Lynch and the Évora group (from the Ling brothers) are also supporters. In 1984, William Ling helped create the Institute of Business Studies (IEE). Comprised of young business leaders, the IEE organized the Forum from the start. His brother Winston Ling founded the Liberty Institute in the southern state of Rio Grande do Sul, while William Ling’s son Anthony Ling has ties to the group Students for Liberty [Estudantes Pela Liberdade (EPL)], which created the Free Brazil Movement. 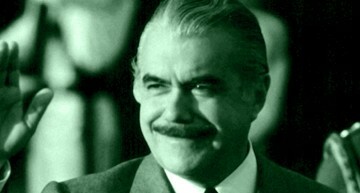 Hélio Beltrão of the Ultra Group is one of the founders of the Millennium Institute, though he has his own institute as well, the Mises Brazil. Brazil’s network of neoliberal and libertarian think tanks includes two more entities: The Open Order Institute, which holds youth seminars; and the Centre for Interdisciplinary Ethics and Human Economics (CIEEP) in Rio de Janeiro, linked to Opus Dei. The jurist Ives Gandra, who wrote a controversial opinion piece stating that there is legal basis for the impeachment of President Dilma Rousseff, is a member of its board of advisers. Like the Millennium Institute, the majority of these organizations have been created recently. The original seed was the Liberal Institute, established in 1983 by Donald Stewart Jr., a civil engineer from Rio de Janeiro, who passed away in 1999. 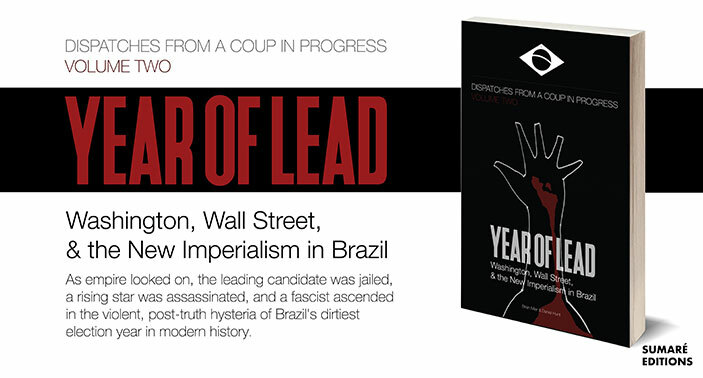 According to “The dictatorship of contractors: (1964-1985),” a doctoral thesis written by the historian Pedro Henrique Pedreira Campos, from the Fluminense Federal University (UFF), Donald Stewart Jr.’s company, Ecisa (Engineering, Commerce and Industry S.A.), was one of Brazil’s largest construction firms during the military dictatorship. Stewart partnered with Leo A. Daly Company, a US construction business, to build schools in the northeast region of the country, funded by a regional government development agency, known as SUDENE. The participation of an American company in the project was a requirement to get financing from the US Agency for International Development (USAID), which operated as a front for the CIA during the cold war era of Latin American dictatorships. Donald Stewart was also an old friend of a crucial character in this story, Alejandro Chafuen, a 61-year-old Argentinian living in the US. Stewart and Chafuen are members of the exclusive Mont Pelèrin Society, founded by no other than the Guatemalan Hayek. Launched in 1947 in Switzerland, with headquarters in the US, the organization comprises the most committed libertarians. El Muso, the founder of Gloria Álvarez’s alma mater, the Francisco Marroquín University, was the first Latin American to chair the Mont Pelèrin Society, while the University’s current rector, Gabriel Calzada, is a board member, along with the Brazilian Margaret Tsé, the CEO of the Liberty Institute, which is the ideological backer of the Institute of Business Studies. Meanwhile, the president of the Mont Pelèrin Society, the Spaniard Pedro Schwartz Girón, also actively fosters think tanks associated with the Foundation for Analysis and Social Studies (FAES), a foundation with ties to the Spanish Partido Popular (PP). FAES, which is chaired by former Spanish Prime Minister José Maria Aznar, promoted the Ibero-American Youth Parliament, the event that catapulted Álvarez into fame. Pedro Schwartz, Alejandro Chafuen and the Colombian Plinio Apuleyo Mendoza, who co-authored the book “The Perfect Latin American Idiot, ” a hit with rightwing youth, attended the Latin America’ panel at the Liberty Forum. Chafuen also took part, discreetly, in the April 12 protests in Porto Alegre. He posted a photograph of the demonstration on his Facebook page. 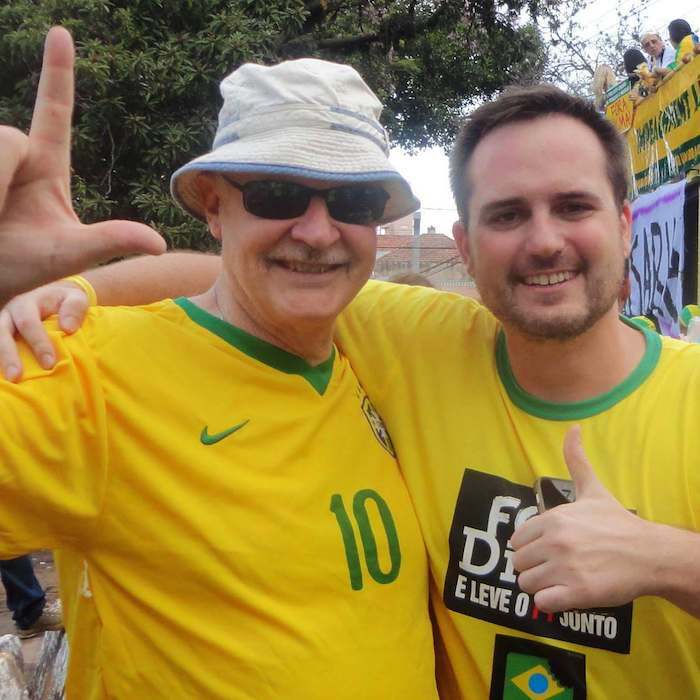 The photo shows Chafuen, dressed in the Brazilian national team shirt, hugging the young Brazilian political scientist Fábio Ostermann. Ostermann is the coordinator of the Free Brazil Moment, which is how the Students for Liberty (EPL) decided to call their anti-government movement. The southerners Fábio Ostermann and Anthony Ling, and the southeasterner Juliano Torres are the founders of the local chapter of Students for Liberty, an organization that plays a crucial role in the network between American conservative think tanks – especially those that define themselves as libertarians – and “anti-populist’’ Latin American youth. Mr. Chafuen, who leads the Atlas Network since 1991, is their mentor. The Atlas Network (the trade name for the Atlas Economic Research Foundation, adopted in 2013) is a type of meta think tank that specializes in promoting the establishment of libertarian organizations throughout the world. It receives funds from its partner libertarian foundations in the US, or from local entrepreneurial think tanks that are geared toward the fostering of young leaders, especially in Latin American and Eastern Europe. According to its Form 990, which all non-profit entities must file with the IRS, Atlas Network’s revenue in 2013 totalled $ 11,459,000. Resources allocated to programs outside the US were US$6.1 million, of which US$2.8 million were directed to Central America and US$595,000 to South America. 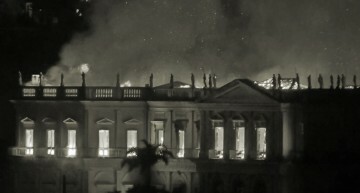 With the exception of the Fernando Henrique Cardoso Institute, all the organizations mentioned in this article are part of the Atlas Network in Brazil, along with Gloria Álvarez’s MCN, the Francisco Marroquin University and Students for Liberty (which was founded inside the Atlas Network in 2012). Furthermore, in addition to the aforementioned resources, there are much more sizeable programs operated by the Atlas Network, which are funded by other foundations. Sitting in the VIP room of the Liberty Forum, Mr. Chafuen rose to his feet to greet Kim Kataguiri, who made a surprise visit. The undisguised glee from this demure gentleman, a libertarian with ties to Opus Dei, was my cue to ask for an interview. The main parts are transcribed below. Q: How did you get close to Brazil? Q: What kind of changes? I mention to him that, at the Forum, people speak a lot about freedom – without basis in reality – and that they actually compare Brazil to Venezuela. A: Yes, the situation here is very different from Venezuela, but you must be vigilant. Freedom isn’t lost just like that, from one day to another. Venezuela was one of the most prosperous countries and look what happened. Populism in Latin American weakens institutions. They let entrepreneurs feel free to invest for some time, allow freedom of expression, and then sooner or later they change the rules of the game. Chávez’s first nationalizations and expropriations happened years after he took power. Yes, you have considerable freedom here. But there are some things that pervert freedom, which is the non-compliance with laws, privilege, corruption, and crony capitalism. It’s a false freedom. It’s like putting a fox in the chicken coop and telling them, ‘you are free now.’ Then the problems start [bribery allegations], business owners are required to enter the game, and they end up taking the blame. It takes two to dance a tango, as they say in Argentina. Q: Are the guys from the Free Brazil Movement strong enough to promote social change? A: I developed a model to explain how things happen, which has four elements: first – ideas, since human beings think before acting, or at least we should; second – motivation, because economy is motivation; third – action, because ideas without action are just ideas; the fourth is providence or, depending on what your beliefs are, luck. So you get to work with ideas, some leaders emerge, laws change, and that affects society’s motivation…a typical change doesn’t happen overnight. This pressure builds up and suddenly something happens. And then there is a scandal, another scandal, a magazine with courage, some young men from São Paulo decide, “I’ll leave college and fight against it.” [Kim Kataguiri and Renan Haas, from the MBL, recently announced the decision to leave college to devote themselves to the movement.] And then the movement is out there in the streets. It’s a combination of factors that we have seen at other times in history. 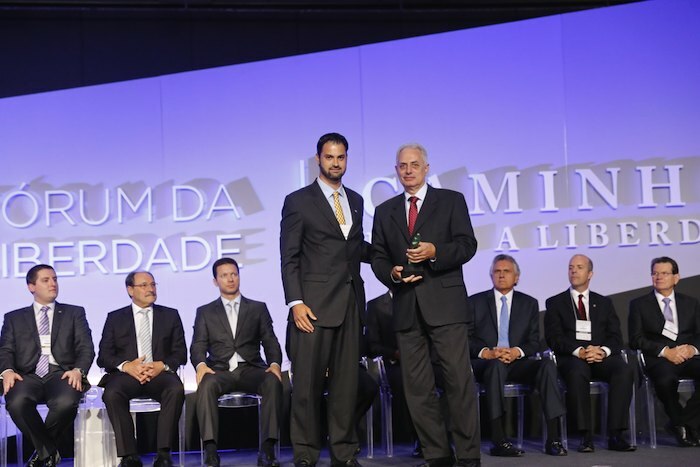 Mr. William Waack [a Globo TV journalist], who got an award here, said to us at a luncheon, before the opening of the Forum, that the only movement he covered that was like this was the fall of the Berlin Wall. He exaggerated a bit, but we don’t know yet what will happen with this movement. Q: After the first anti-government protest in March of this year, the Atlas Network published a piece on its site celebrating the crucial role of its partner, Students for Liberty, in the protests against President Dilma Rousseff and the Workers Party in Brazil. Do you feel responsible for this movement? A: Our role [in regard to Students for Liberty] is the power of nurturing. These human beings, we call them intellectual entrepreneurs, people with new ideas who see solutions and decide to invest their capital in them. It’s like in business. So we offer them training programs, try to support them financially, encourage them to be committed, to not be too much of a partygoer. But Atlas does not support political parties. We withdraw our support if there is any partisan interest. We don’t accept resources from the government but we can offer some guidelines, new ideas about a free society, from classical liberalism to libertarianism, from religious to atheists, but it’s up to each person to choose. Many of us in our organization have a very negative view about the top-down approach. So we try to encourage people, help them meet each other. Now, for example, all over the world, people might be asking, ‘can we emulate the Brazilians?’ So we celebrate, but we’re careful not to take credit for the results, for what happens locally. Q: In Venezuela, an Atlas partner organization, the CEDICE Libertad, and the Cato Institute, which funds Atlas programs for students, allied with local businessmen. They were accused by the Chávez government of fomenting opposition among students. A: I am vice president of CEDICE, and this is not true. Every so often, some CEDICE members might have engaged in some political activity. But one thing is political life, the polis; another is to work exclusively with one political party. We have worked with-and received at CEDICE-Leopoldo López [who is in jail] and his party, the Internacional Socialista; María Corina Machado [a former congresswoman] and Antonio Ledezma [the mayor of Caracas, arrested in March amid accusations that he was involved in a coup plot]. The answer is that we cannot give up the fight for freedom and some people get into politics. But the Atlas Network doesn’t get involved in local politics. The battle is not between left and right but between right and wrong. And now if you excuse me, I have to go and get ready for my speech. Q: One last question, please, to dispel rumours. The ties between the Koch foundation and Students for Liberty, through direct funding as well as funding from other foundations associated with the Koch brothers have aroused suspicions, since the Kochs own oil industries that could have interests in this country. A: The Atlas Network receives 0.5% in funding from the Kochs. The Students for Liberty, I don’t know. Goodbye. Torres, who is paid by the EPL, tells me that he has two online meetings per week with American headquarters and that he and other Brazilians take part every year in an international conference, with expenses paid, and in a leadership meeting in Washington. The budget of the Students for Liberty for this year in Brazil should reach R$300,000. The launching of the EPL in Brazil took place after Torres participated in a 2012 summer workshop for thirty students in Petropolis, sponsored by the Atlas Network. “Right there, we made a draft, a plan, and then we contacted Students for Liberty to officially join the network,” he says. There are two Brazilians (out of ten members) at the International Board of Students for Liberty. This year’s report devotes a page to the protests from the MBL in Brazil. A Brazilian, Elisa Martins, who has a degree in economics from the Santa Maria University, is responsible for international scholarships and young leadership training programs at the Atlas Network. The programs are carried out in partnership with other foundations, especially the Cato Institute, the Charles G. Koch Charitable Foundation and the Institute of Human Studies, all organizations linked with the Koch family, one of the richest in the world. In the last two decades, the 11 foundations tied with the Kochs poured US$800 million into the American network of conservative foundations. Another important partner is the John Templeton Foundation, another American billionaire. With considerably larger budgets than the Atlas Network, these organizations develop fellowship programs, funded by them and executed by Atlas. An example of these projects is the expansion of the Students for Liberty Network, financed by the John Templeton Foundation, which closed 2014 with over $ 1 million budget. Thus, even though it appears in third place among the backers of Students for Liberty, the Atlas Network, through its partner, raises a considerably larger volume of funds. 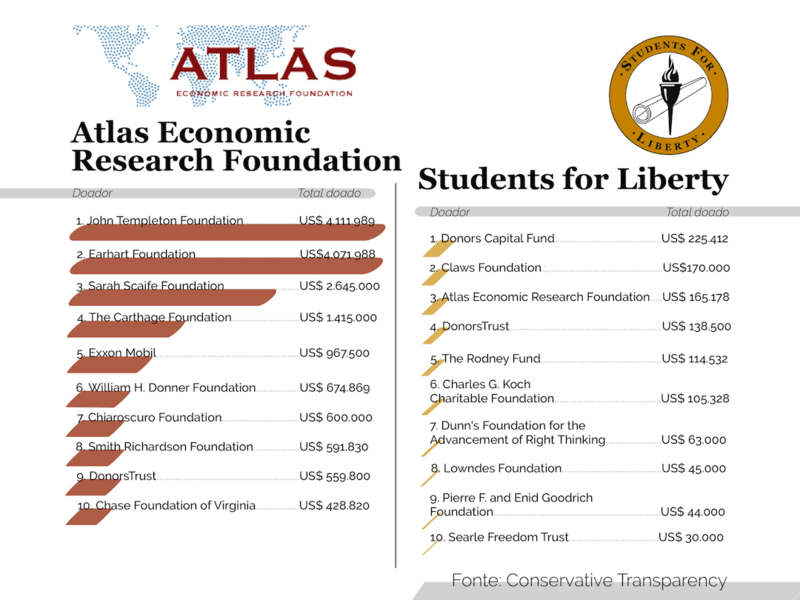 All major donors of Students for Liberty are also Atlas donors. It is not always possible to know the origin of the money, despite the legal obligation to fill the IRS 990 form. American conservative organizations distribute money through several different channels, making it impossible to know the original source of the money that reaches each the recipient. Rightwing foundations have been under scrutiny by the media and groups such as Conservative Transparency. These investigations have exposed questionable use of resources for lobbying in Congress and state governments, and financing controversial causes such as opposition to climate change legislation. In response, in 1999 the foundations created two philanthropic investment funds, Donors Trust and Donors Capital Management. These investment funds do not require donors to disclose their names in the IRS 990 forms. Thus, the Donors Trust is the largest backer of Donors Capital Management (and vice versa). The Koch foundations are the main suspect of pouring money into these funds. The 2014-2015 Students for Liberty report shows an impressive amount of fundraising: US$3.1 million, compared with only US$35,768 raised when the organization was launched in 2008. US$1.7 million came from foundations, according to the report, which does not detail the amount donated by each institution. The Charles Koch Institute is listed but according to the report, it provides grants to American students only, while the Charles Koch Foundation, which distributes grants to students through a number of foundations, is not mentioned in the report. Another Koch family foundation, the Institute of Human Studies (IHS), is a major contributor to student fellowship programs. Only in 2012, it distributed US$900,000 in grants, according to a form submitted to the IRS. The Atlas Network is one of the IHS’ major partners. The MBL coordinator, Fabio Ostermann, for example, mentions in his résumé that he was a Koch Summer Fellow at the Atlas Economic Research Foundation. Ostermann is an aid of Representative Marcel van Hattem, a politician from Rio Grande do Sul, affiliated with the Progressive Party (PP) and pointed out by Kim Kataguiri as the only Brazilian politician who fully embraces the MBL’s ideas. 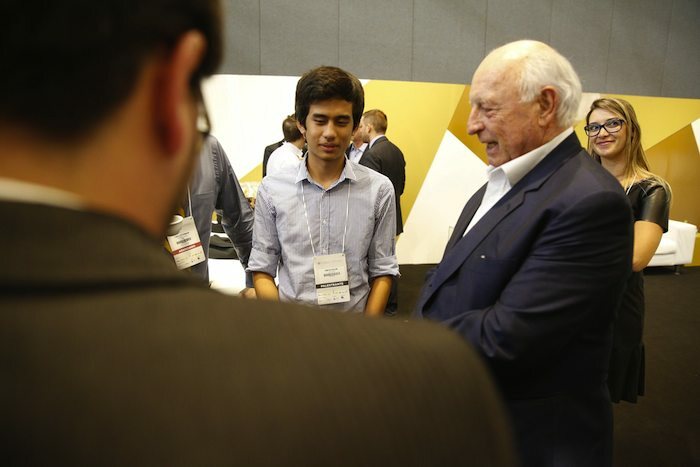 The young representative was elected with the financial backing of the Gerdau and Évora groups, the latter belonging to the father of Anthony Ling, who is a founder of the EPL. Van Hattem also took courses at the Acton Institute University, the most religious of the organizations that are part of the Atlas and Koch Foundation fellowship network. Acton lists combatting “sin” as one of its core principles, stating that the ubiquity of sin requires the limitation of the state. The Liberty Forum ended in the same way the street demonstrations that preceded it did, with a chanting of “Dilma out,” “PT out.” [PT -Partido dos Trabalhadores, or Workers Party]. Representative van Hattem in a passionate speech, thanked the Forum for his election. The program was modified to include Kim Kataguiri, who was not initially listed as a speaker. Kataguiri was embraced by sponsors such as Jorge Gerdau and Hélio Beltrão, posed for pictures with several fans, as well as his friend Bene Barbosa, who was promoting a book defending the freedom to bear arms. He then went to the auditorium, once again full of students. Sitting on the couch, Kataguiri waited for van Hattem to list the usual litany of accusations against the São Paulo Forum, the totalitarian power of the Workers Party and “the biggest corruption scandal of the universe.” Every soundbite and rhetorical red meat was greeted with rousing applause. Van Hattem stirred up the audience, displaying the bond he had established with them, telling them “the avant-garde today isn’t leftist, it’s libertarian. Well-informed youth go to the streets and ask for less Marx and more Mises. They like Hayek not Lenin. They carry signs with the hashtag #Olavoisright,” [referring to the aforementioned rightwing pundit Olavo de Carvalho]. 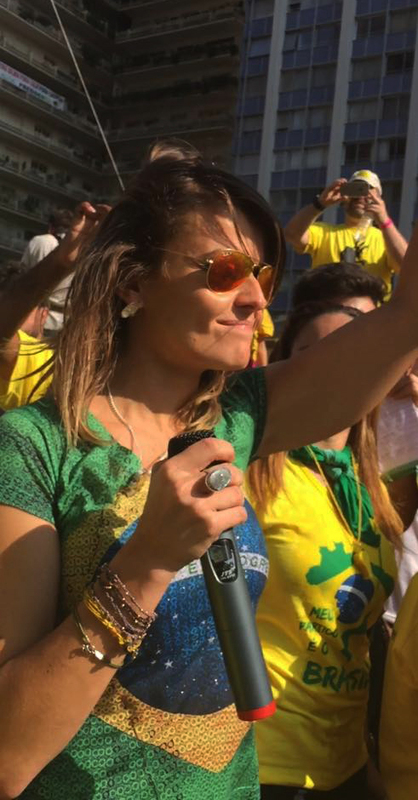 Three days after the Forum, Kim Kataguiri left for his March for Freedom toward Brasília, attracting a meager turnout of people, while Gloria Álvarez embarked on a tour that took her from Argentina to Venezuela, effusively reported on her social network. In Argentina, she visited Buenos Aires and Azul, after an invitation by the Argentina Rural Society. Her speeches at the National University in Tucumán were organized by the Federalism and Liberty Foundation, which includes on its international board, the Atlas Foundation, the Heritage Foundation, the Cato Institute, the CEDICE Libertad, and the Ecuadorian Institute of Political Economy. These organizations are all part of the Atlas Network, as are the other organizations that organized Álvarez’s trip – Students for Liberty (Bolivia and Ecuador), the CEDICE (Venezuela), and the Foundation for Progress (Chile). The most interesting thing about Álvarez’s trip, however, was not mentioned on her social network, or even in Chilean newspapers. 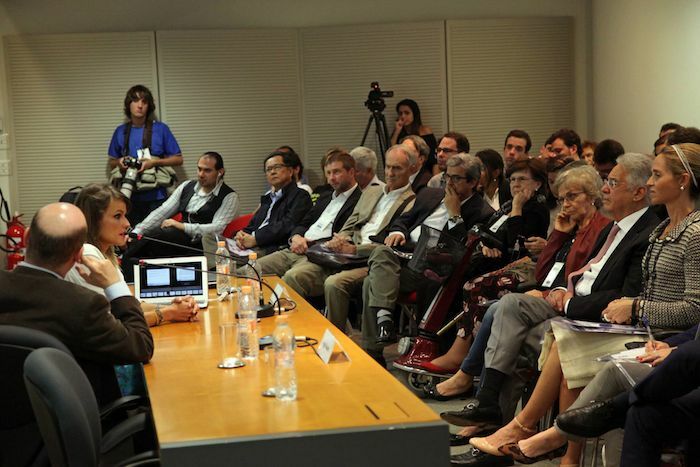 On April 23, she and dissident Cuban blogger Yaoni Sánchez met with the conservative former President Sebastián Piñera after they delivered speeches at the Adolfo Ibañez University in Viña del Mar. The meeting with the ex-president was reported on twitter by a former minister of the Piñera administration, the economist Cristián Larroulet. 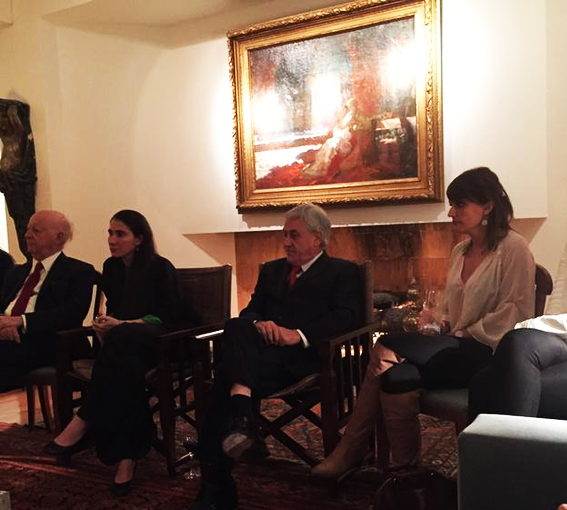 He posted a photo – the only photo in which Álvarez and Sánchez appear together – with the caption, “President Piñera with Yoani Sánchez and Gloria Álvarez, two examples of Latin American women fighting for freedom.” Larroulet is the founder of the think tank Liberty and Development, a natural partner of the Atlas Network.